The first place team was Demeuse's Dominators. Team members are Kendyll Garber, Christian Meliezer, Jacob Gustad, and Keagan Thomas. They were coached by Don Demeuse. 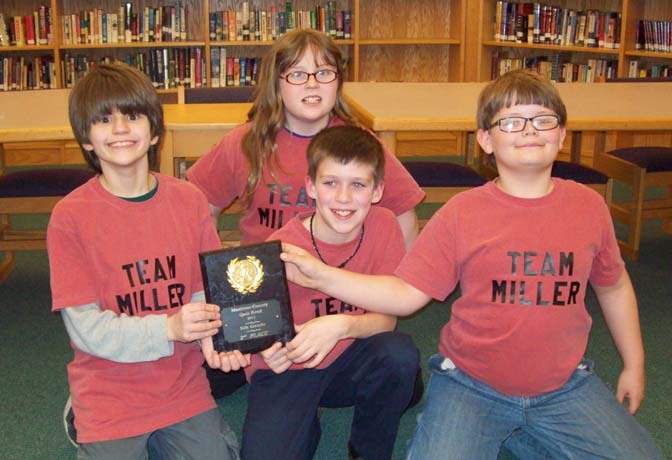 The second place team was Team Miller Brainiacs. 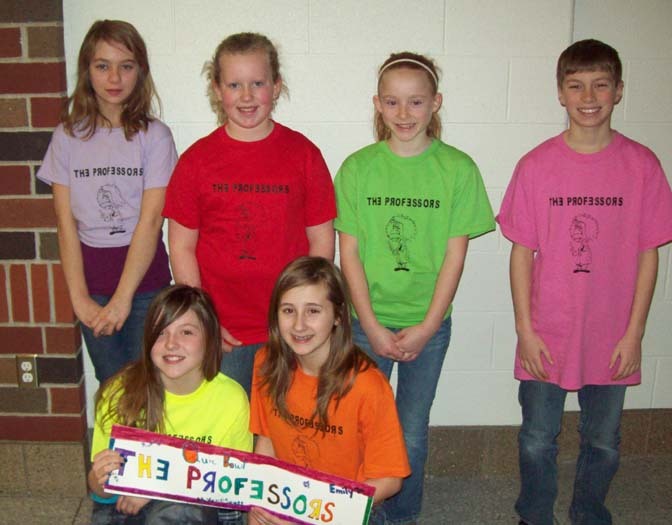 Team members are Sarah Sheathelm, Jayden DeWitt, Andrew Yeack, and Taylor Belohlavy. 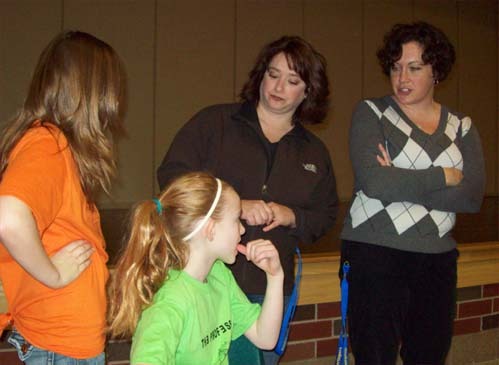 They were coached by Teresa Belohlavy. 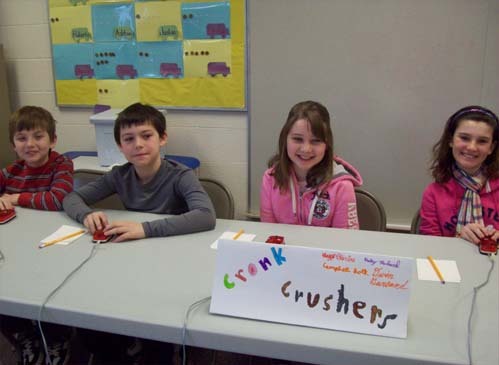 In a test of wit and quick reflexes, Manistee County schools faced off on March 8 and March 10 at Onekama Consolidated Schools for the annual Fifth and Sixth Grade Quiz Bowl competition. 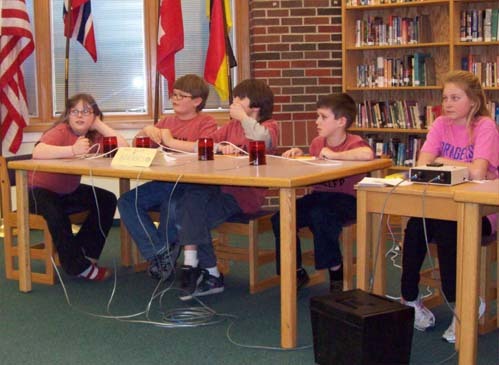 Manistee County Quiz Bowl has a long history. 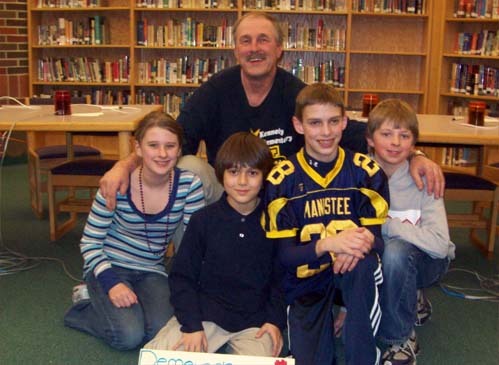 The first contest was held at Manistee Junior High in 1988. 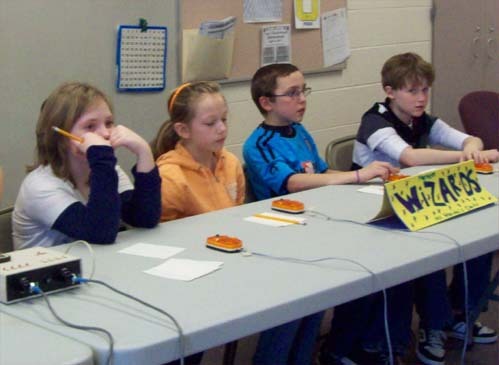 Preliminary events are held at each local school, and only one team from each school advances to the final event. Students must correctly answer questions from all core curriculum subjects. Some changes have taken place in recent years on how students prepare for the competition. For many years, questions were taken from available trade books and written by coaches. Students were given study guides before the event, but teachers and coaches found that this could lead to a good deal of memorizing. 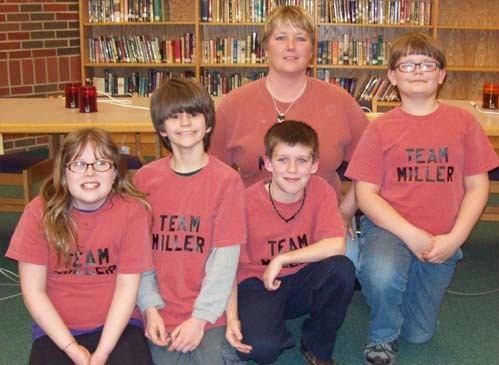 Team Miller's teacher wrote, "This is my first year teaching and being involved in this competition. 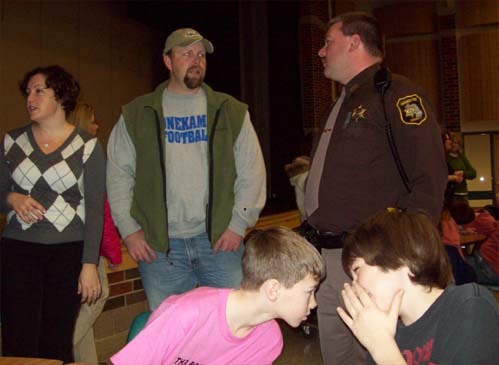 My students felt honored to be hosted by Onekama and they will be delighted to hear they are on the webpage!" 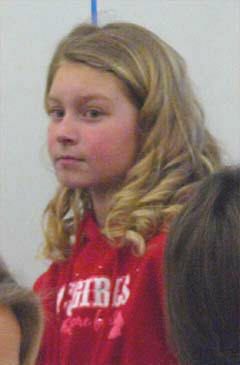 The day we had quiz bowl I was nervous. I felt like we were going to lose. I am glad we did not lose though! We got fourth place. To me that is a good place! I loved the shirts! They were really nice! 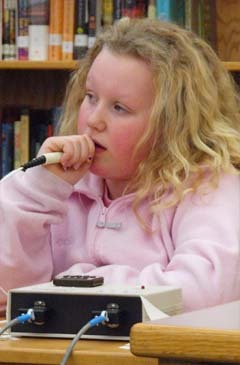 I loved playing in quizbowl! 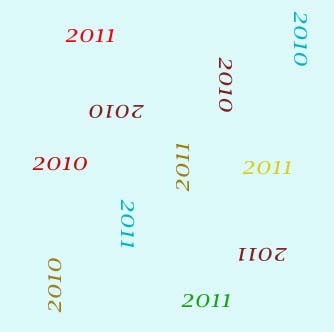 ~Hobi H.
On March 8th was 5th grade Quiz Bowl and on March 10th was the 6th grade. I was a scorer and I worked in the Library both days. Mrs. Zajac and Mrs. Gilbert were the readers in that room. 5th grade came in 5th place and 6th grade came in 1st place!! I think both teams did a GOOD JOB!!! ~Elizabeth D.
Last week we had Quiz bowl I was a machinist I was in the same room as jaylen and i shocked because we did not get our team but they won fourth place but they still did a good job. 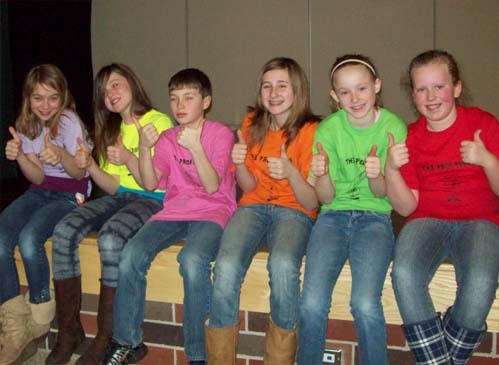 Then the next day it was sixth grade Quiz bowl and our team was in our class once they won first place. they did a good job. 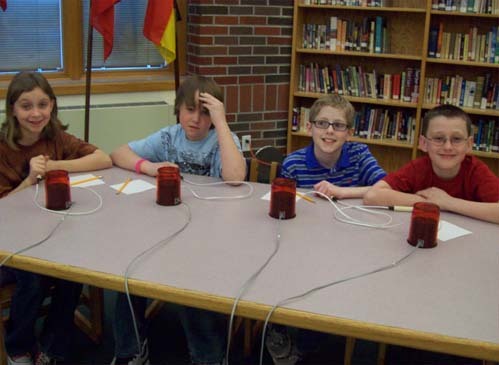 Quiz Bowl was on March 8th and 10th. It was fun I was a scorer. When you score you wait until a team gets the answer right and then you put ten points up. If they get a bonus point you have to add up their score. If they interrupt on a question you have to -5 points. when the game is over you had to go to the cafeteria and see who was playing next. Quiz Bowl was fun. ~Jaylen B. As you probably know in quiz bowl we won fourth place in the tournament. Not the best but I guess its better than last place! 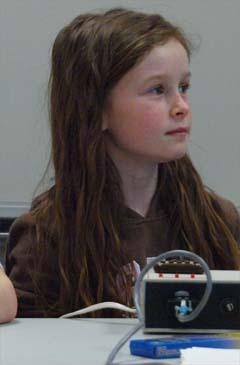 In quiz bowl (practice included) I had a great time in quiz bowl!